Zucchini boats are a great, quick dinner to put together, especially since you could use what you have on hand. I did have to add pesto to my grocery list this week for this recipe, but everything else was just waiting to be used up. • Salt and pepper each boat. • In a small bowl, mix together cooked quinoa and pesto. 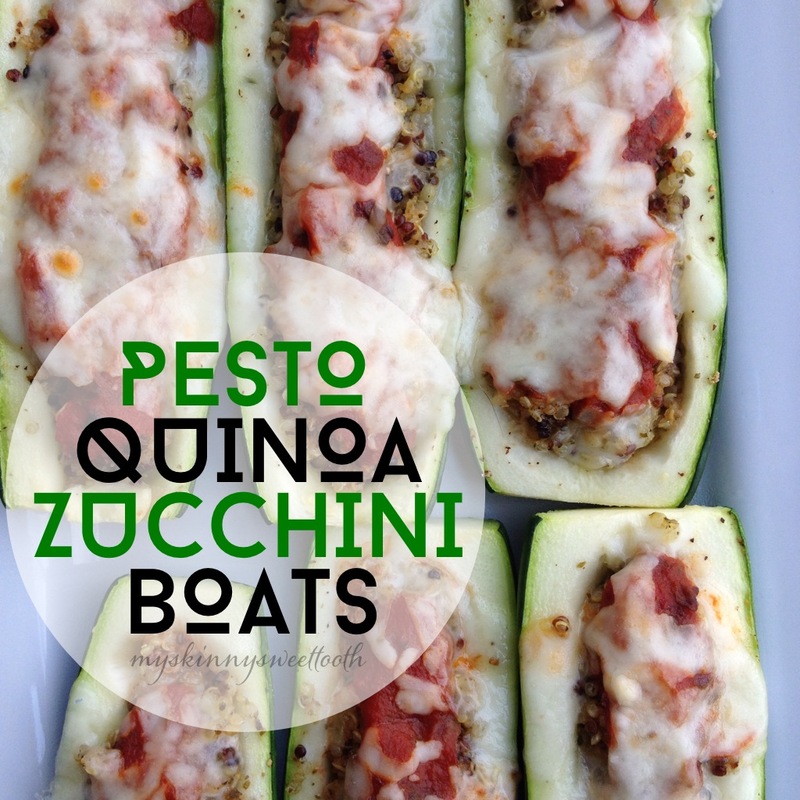 • Fill each boat with pesto quinoa until all is used. • Top each boat with a little marinara sauce. • Lastly, divide up the mozzarella onto each one. • Bake for 20min until cheese is bubbly and zucchini flesh is soft. Broil for a few minutes if desired.